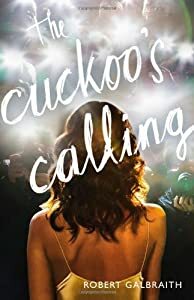 J.K Rowling recently published the crime novel The Cuckoo's Calling under the alias Robert Galbraith. For a chance at winning this book and a $100 Threadless gift certificate, leave a comment with the pen name you would choose if you wrote under a pseudonym. My first choice: H.E. Pennypacker. The winner will be chosen randomly at midnight ET Friday evening (August 2nd).